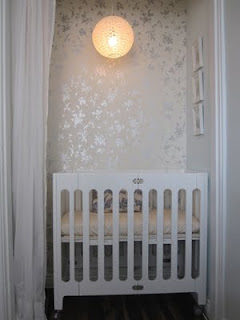 Baby Bliss with Jordan & Chris: Presenting the Nook! Before this whole flood nonsense, our intention was to live in our one bedroom apartment with Eloise for at least a year. 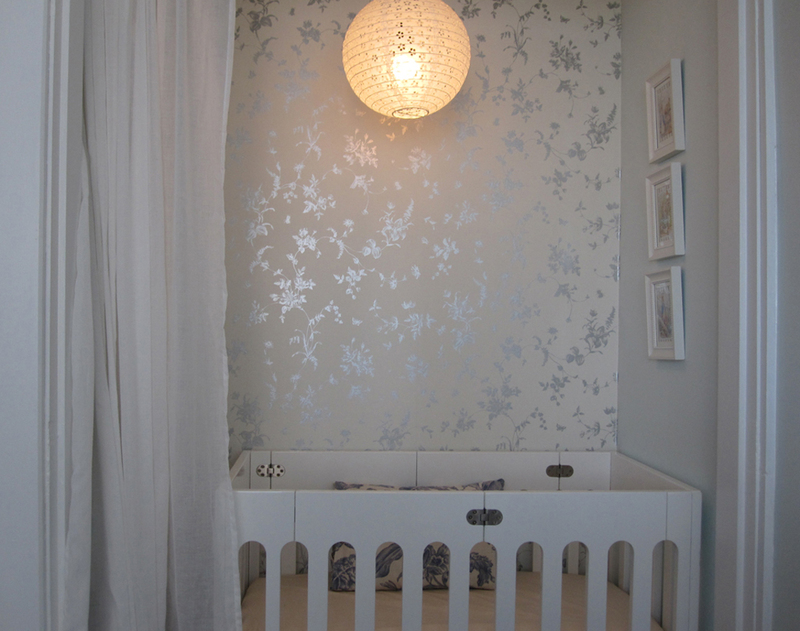 We dreamt up the Nook as a way to give our baby her own space and spent countless hours getting every detail just right before she arrived. 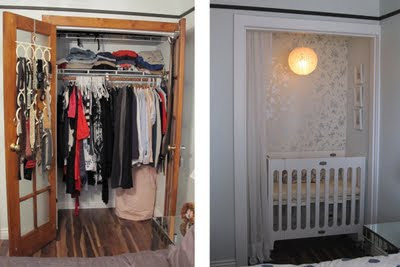 The first step was converting our closet. 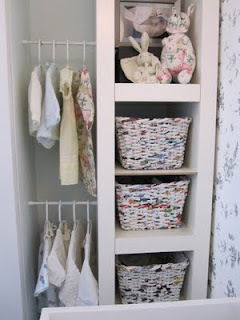 We removed the closet doors, organizer and hanging rod and painted the trim Benjamin Moore's 'Designer's White' (my fav!). 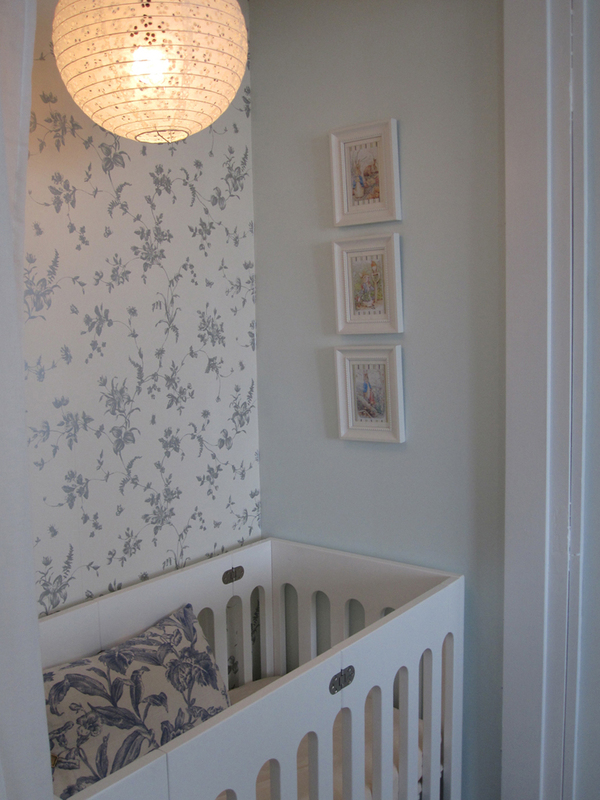 We primed the rear wall with sizing for wallpaper and painted the rest of the walls in the same colour as our bedroom - a crisp, ice blue called 'Seafoam' from Benjamin Moore. The wallpaper was installed by Chris and my mom in an evening and totally transformed the space. A very different BEFORE and AFTER! Eloise's crib, the Alma Urban Crib by Bloom, was a gift from Grandma and Grandpa and fits in the Nook perfectly. 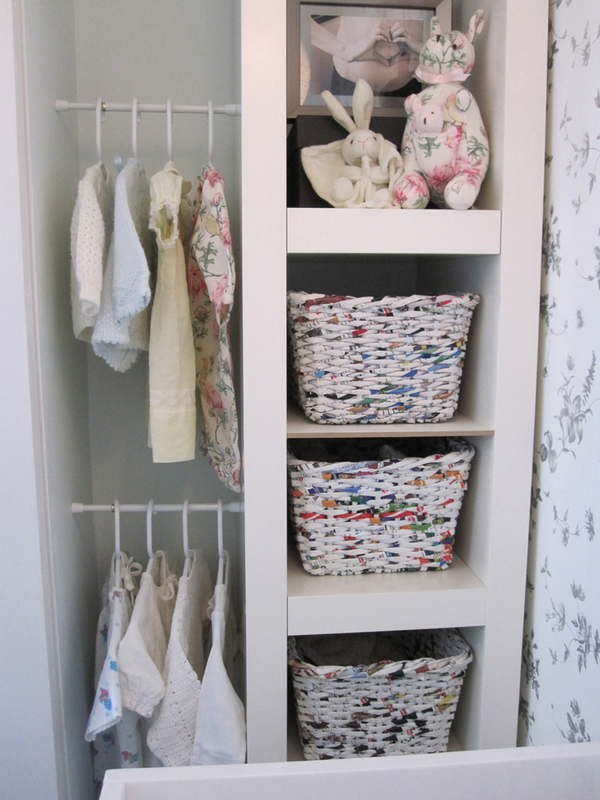 For storage we used an Ikea Lack shelving unit (which is now discontinued) filled with baskets made from recycled magazines and mini-compression rods that fit between the wall and the shelf for hanging clothing. The lamp in the Nook is something I'm pleased to say I made mostly myself. I purchased (on sale, thank you very much) a pack of Martha Stewart Crafts' white eyelet paper lanterns and outfitted the largest lantern with an Ikea cord set to create a pendant light. Chris hung the light from the ceiling and a few days later, mere hours before Eloise was born actually, I finished affixing the cord to the wall with cable clips. Phew! The Nook was finished just in time. 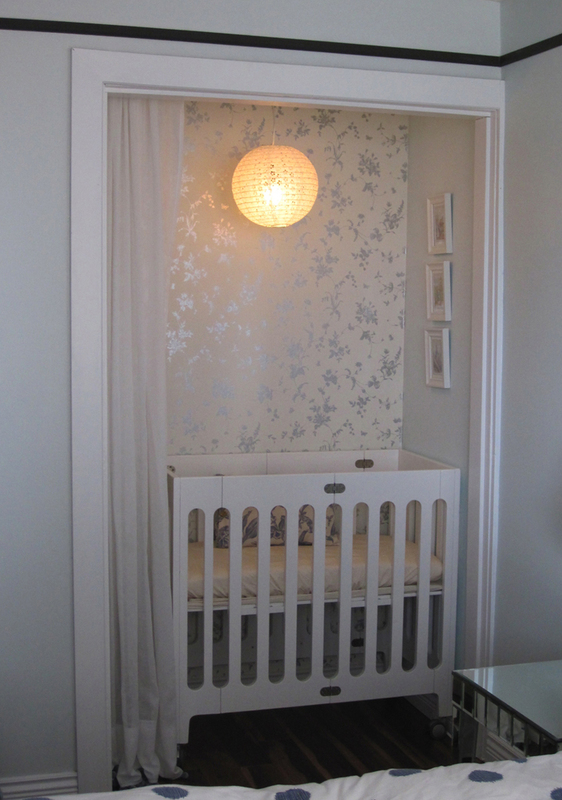 We are so pleased that our creative efforts paid off and can't wait to get back into our apartment so Eloise can enjoy her nook for at least a few more weeks before the big move. Then it's onto the new house and this time, baby girl gets an entire room! So beautiful and creative! I love the wallpaper!!! What brand and where did you purchase it? Congratulations on the new addition to your family!